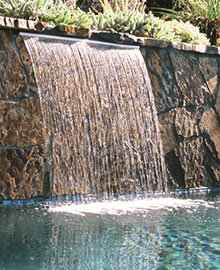 Water features/waterfalls increase the enjoyment in every pool. At Tropical Pools and Pavers, we pride ourselves in offering ONLY the best equipment available in the market today. That is the sole reason we install Zodiac equipment. Zodiac’s water designs are energy-efficient and long-lasting.